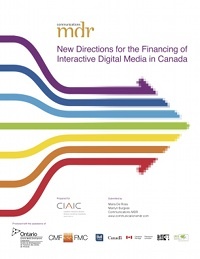 Supported by the OMDC’s Entertainment and Creative Cluster Partnerships Fund, this program will provide 40 transmedia producers with the opportunity to participate in a full-day workshop. From this group, 18 individuals will go on to complete five-month job placements with Ontario-based transmedia production companies. The Transmedia Production Acceleration Program is currently accepting applications. The deadline is September 4, 2012. For application details and eligibility, visit its website. CIAIC” cleanformac ended up being worthy of writing a comment here! Simply just needed to point out you really did a wonderful job.